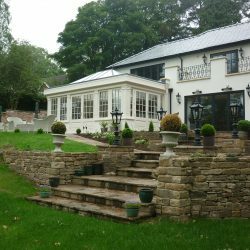 Working within the counties of Cheshire, Staffordshire, Shropshire, the Midlands and indeed throughout the UK, Lymewood Architectural Joinery specialises in bespoke joinery design and manufacture to complement properties. All timber windows and doors are designed and manufactured with quality and style in mind. The timbers used are to the highest specification to ensure the end product is exceptional. We manufacture everything ourselves at our factory in Longsdon based in the Staffordshire Moorlands allowing us to have complete control over the joinery process. Roger Lymer, the Managing Director, is very hands on on a day to day basis and ensures the quality of all products going out of the factory.Whether your property is a listed building, within a conservation area, a new build or it is simply time for an update, Lymewood Architectural Joinery has a knowledge and experience to advise on the timber products that will complement your property. 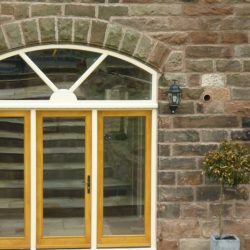 We have a vast collection of windows, doors, conservatories, swimming pool surrounds, gates, flooring and profiled mouldings to meet your requirements. 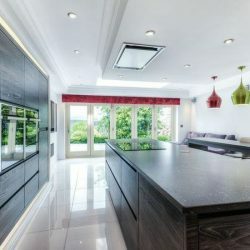 From concept to installation Lymewood Architectural Joinery offers a complete joinery service from joinery advice, window, and door design, manufacturing, and specialised carpentry and installation. A key strength for Lymewood Architectural Joinery is that the majority of work is obtained through word of mouth and recommendations and we are proud to have received awards for Best Workmanship. 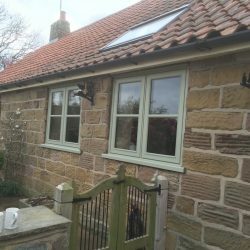 For over 20 years, Lymewood Architectural Joinery has developed an impressive reputation for manufacturing top quality timber windows and doors, with design and durability always in mind. 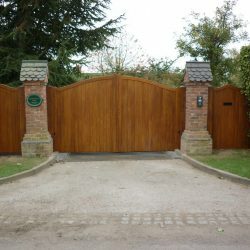 Our skilled team have many years of experience between them and based on this our products are of the highest quality, durable, high security and low maintenance. Lymewood designs, manufactures and supplies bespoke joinery to architects, specifiers, and homeowners. • Discuss your requirements with you and provide advice based on the type of property you have. 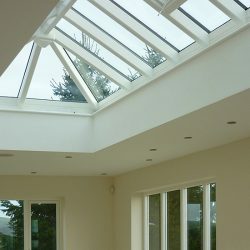 • We can work from a set of plans or come out to the site to discuss joinery requirements with you. • Incorporate your ideas into the product design, ensuring building regulations are met and that the final product will complement your property. • Provide a detailed quotation summarising costings, specification and design drawings. • Offer a great deal of choice in relation to timber, spray finish, glazing and ironmongery. • We have a portfolio of properties to show you examples of what the products look like in situ. • A Sample range that we can bring to the site to show you the different types of finish available to give you an indication of what your chosen spray finish colour will look like against the brick or stone. • A range of high technology machines that are profiled to produce exceptional components for the joinery product. Suppliers of solid and engineered flooring in oak and a range of timbers available in a variety of widths, finishes, and textures. Whether you are looking for engineered oak flooring or solid, finished or distressed, Leek Oak can advise on a suitable product. Our wood flooring is selected from the very best mills worldwide specifically for its quality and consistency. Quality machining offers ease of fitting with a moisture content of between 8-10% and suitable for installations by fully bonding or secret nailing. Our solid wood flooring range comes in a range of species, finishes and sizes. Finished to a high quality and available in unfinished, lacquered, oiled and stained. All of our solid floorings are offered with tongue and groove and with the ends matched. Our Engineered flooring range caters for all budgets and project requirements. Produced to the highest specification it is ideal for free-floating, fully bonding or for installation over underfloor heating. Available in various species this range gives you a choice of specification including lacquered, oiled, brushed and oiled, brushed and matt lacquered, unfinished or smoked finishes.